You sit down at your desk, open up your client management software and take a deep breath… of exhaustion. You have a laundry list of writing to get done for multiple projects that all happen to be due back-to-back. You immediately review your first project on the list, and get to work on getting it done. Research, outlining, writing, proofreading, turning it in, repeat. Research, outlining, writing, proofreading, turning it in, repeat. Wrong! You do this again and again for every project you do. Because after all, that’s the best (and most efficient) way to get your work done right? Going through your freelance writing projects like this again and again will not only waste valuable time you (let’s be honest) don’t have, but it will also cut your productivity in half and cause serious burnout. Which is why friend, you need to get batching, asap. Batching means taking the same task of a specific assignment, grouping them together, and completing them for multiple projects in “bulk” fashion. For example, let’s say you’re a content writer and blogger for solopreneurs. When writing blog posts, there’s a formula that’s followed for top notch blog execution. And, every time you write a blog post for your client, you’re (at least you should be) following the same process. This means: creating an outline for the post, doing your research, filling out different pieces in your outline, writing out the entire post, editing the post, and then turning it in to the client. When batching tasks, if you have multiple blog posts due, you would block out time and complete the same task for multiple projects in one sitting. I.E. On Monday’s, you take out a block of time and write out the outline for all of your blog content assignments. On Tuesday, you do separate research for all of your blog content assignments. On Wednesday, you complete the outlines for all your blog content assignments. On Thursday, you write out all of the blog posts in full. And on Friday, you edit all of the blog posts. Granted, your days don’t have to look like this, but this is what batching looks like. Completing the same task for multiple projects in one sitting. 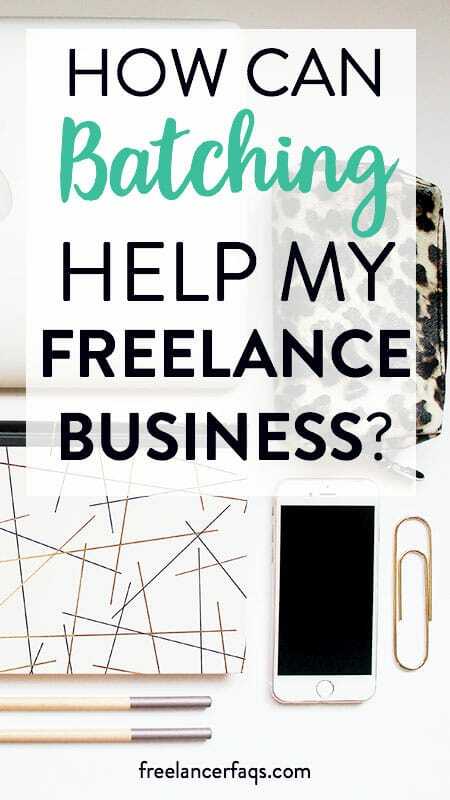 Batching is for solopreneurs, small business owners, and certainly freelance writers. Rather than having your ball bounce all over the court, everyday you keep it in one specific corner, knocking out the same task for multiple assignments to put you ahead of the game. Why Is Batching Important to Success? Batching saves a serious amount of time. Instead of taking days to complete your projects, it can be cut down to hours. Batching gives you major time management. Instead of completing one project in full at a time, and repeating the process, you’re completing the same part of a specific task for multiple projects at a time. This helps you get more work done, for more assignments, in less time. With batching, you’re ahead of the game. You’re able to complete twice as much work in the same amount of time or less. Where it took you a couple to a few days to complete one task, it will now take you the same time to complete twice as many. And if you’re a ninja, well, you can complete 3 times as much work in the same time. Batching is for the freelance writer who takes their productivity seriously. If you know you don’t have that much time in the day because you work full time, are a parent full time, or don’t have as much time as you wished for any other reason, it helps you complete all of your work without wasting a second. Batching will also free up your schedule so you can focus on other parts of your business, or simply have time to actually live your life without a headache. You’re always ahead of the game for multiple assignments. Long gone are the days of getting one assignment done at a time. This is the fast track to burnout and inefficiency. With batching, you will always have multiple assignments done ahead of schedule which clears up your calendar faster and makes for very happy clients. It also clarifies and enhances your process. To batch, you have to know exactly what task needs to be done to actually batch it. This will make you see what exactly is your detailed process for different projects and what are the exact steps that need to be done for each specific task. You will have a clear understanding of what you must do each time, and you’ll be able to adequately batch them. Let’s Bring this Home Shall We? Batching is your key to being your most effective freelance writing self. It clarifies your process, causes your execution to double and it is one of the major ways for you to be as productive as you can be. As a writer, time is precious. You can’t afford to waste it. Don’t keep yourself in the rut of going through the hamster’s wheel and going through your tasks the same way like before. Take a seat, block out a few hours, and write down your batching process. Everything that falls under the same umbrella, put it together, and give yourself a specific block of time to get it done on a specific day. Then my friend? Get to work! Stephanie BwaBwa is a freelance writer for hire who offers ghostwriting, copywriting, and blogging services. 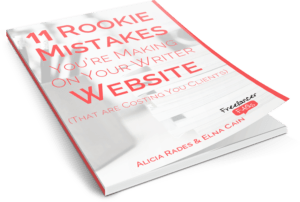 She works in tandem with creative solopreneurs, B2B and B2C businesses, providing digital marketing and branding content that turns readers into customers. When she isn't writing, you can catch her watching Disney or nose deep in a fantasy novel. Great post. I recently started batching and it has really helped streamlined my tasks and make more productive! I never follow a to-do list, but batching tasks seems to make me accomplish them more! I’m so glad to hear this! I know I would burn the candle at both ends before I began batching. After implementing the technique, my productivity has skyrocketed. I think it’s awesome you don’t follow a to-do list. I’ve found lately, I don’t stick to mine even when I create one. I’m slowly becoming a pantser. However, batching always helps. Thanks for sharing your thoughts. This post is going to save me so much time! I always find it hard to switch from writing mode to editing mode and back again. This way I don’t have to. I cannot believe I didn’t think of it before! Thank you so much.